When you run a medical facility or another type of facility that is in need of biomedical equipment, you probably want an easier way to purchase medical equipment for your facility than the usual way. You’re probably tired of shopping for biomedical equipment that’s very expensive and takes a long time to ship to you. You’re probably tired of buying directly from the company for your medical facility. When you’re running low on your medical equipment or a piece of medical equipment breaks at your facility, you now have a few options of who to turn to when you need new medical equipment. Instead of turning to the big name companies that are liable to take advantage of you, come to Omnicor. Omnicor is able to provide you with the best secondhand medical equipment in the Camillus, NY, area and can offer 24 hour emergency services if you’re faced with an emergency. We also provide preventative maintenance, rental equipment, ventilator service, and equipment repair for all of your medical equipment needs. If you are you a medical equipment buyer in the Camillus, NY, area who is interested in purchasing medical equipment, then take a moment to check out our sales service. Omnicor can offer you reasonably priced medical equipment and supplies to help you eliminate spending too much money for your medical facility. As a medical equipment-based company, we make sure to carry a variety of different medical equipment you may need accessible to your medical facility. If you are faced with a broken piece of medical equipment, we can always come to your medical facility at any time of the day to repair it. If you are faced with an emergency, you are also able to rent equipment while you’re having the medical equipment from your facility repaired. It can be detrimental to your medical facility to find out that a piece of your medical equipment isn’t working correctly, which is why we’re able offer you our many services, from repairs to purchasing secondhand equipment. If you are faced with medical equipment issues and are interested in any of our services or have an emergency, call (315) 320-4244. 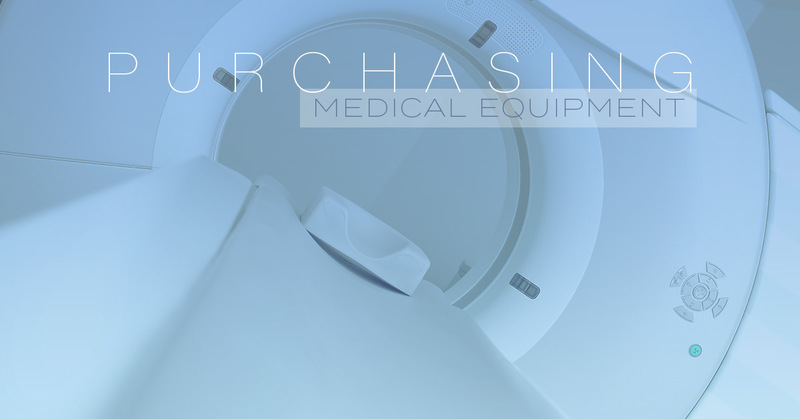 When you are looking to purchase a new piece of secondhand biomedical equipment, it’s best to know what you’re able to purchase. As mentioned above, if your medical equipment still has some power in it to keep it going, then we recommend that you have someone come and take a look at it before you decide it needs to be replaced. If you are looking for secondhand biomedical equipment to replace a piece of medical equipment you know will not work again, then we can provide you with a list of what we sell. Below are just some of the used medical equipment pieces we’re able to sell. Contact us to see a full list of what you can purchase. Now that you know where to go to get all of your medical equipment and you know what Omnicor offers, it’s time to learn how to properly purchase secondhand equipment. If you’ve never purchased secondhand equipment, then there might be a learning curve, but after a few tries you’ll be a pro. Keep in mind: purchasing secondhand medical equipment is a little different than purchasing any other type of secondhand item. Follow these steps carefully and you’ll be able to find medical equipment that’s quality, for a great price. Come to Omnicor: As we established above, the best place to come to purchase medical equipment that is used is at Omnicor. This first step will put you on the track you need to find the medical equipment for your medical facility. At Omnicor, we focus on buying and selling high-quality medical equipment for a great price. If you are unable to come in to see our medical equipment, you can always call us at (315) 320-4244 and speak to someone about purchasing medical equipment. Check Liquidation Sales: The second step you need to follow to find quality medical equipment is by checking the liquidation sales for the medical equipment you have your eye on. When you check the liquidation sales for the medical equipment you’re interested in, you’ll find that Omnicor has some of the best deals you’ll be able to find in the area. As a biomedical equipment provider, we want to ensure that all of your needs are taken care of, which means offering affordable equipment. In addition, it also means offering top-quality equipment that will meet all of your needs for what you’re looking for in medical equipment. Confirm Your Satisfaction With the Medical Equipment: The last step to ensure you are satisfied with your secondhand medical equipment is by looking at it. Like everything you purchase that is expensive, you need to make sure that you are satisfied with it. You wouldn’t purchase a car without looking at it first would you? No, you wouldn’t! So, why would you purchase biomedical equipment without checking it out? You’ll find when you come to Omnicor to purchase your equipment that each piece of our secondhand medical equipment is cared for and looks brand new. When you come shop at Omnicor for medical equipment, you’ll be able to find what you’re looking for, in tip-top condition, and for a great price. For all of your biomedical equipment needs contact Omnicor at (315) 320-4244.